African Guitar Styles by Folo Graff is the first practical guide to some of the most beautiful guitar music on earth. 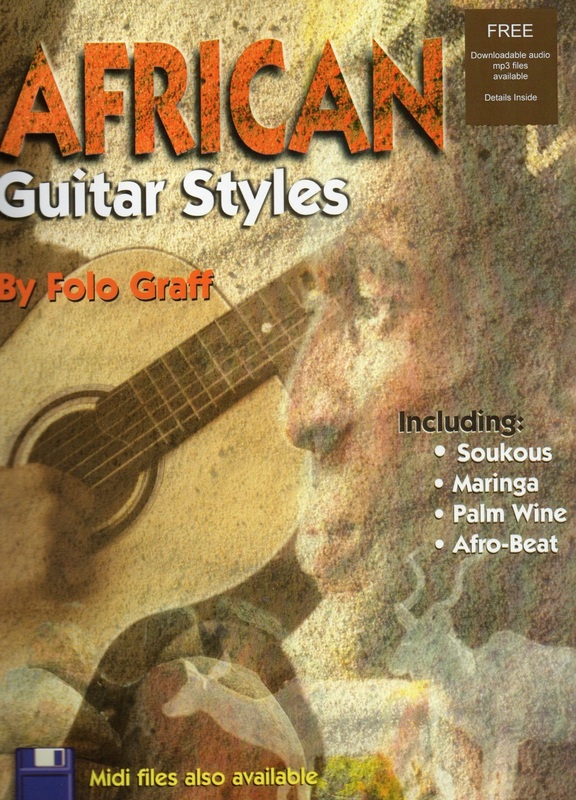 For this pioneering tour of some of the great musical styles, Sierra Leonean bandleader and composer Folo Graff draws on nearly twenty years' experience of teaching African guitar all over the world. In one volume, he brings together a huge selection of classic styles old and new from all over the continent, ranging from the desert blues of Mali through West African highlife and Afrobeat to Congolese rumba and soukous and South African township jive. all music available as mp3 digital downloads as well as MIDI files.